In March, The Pioneer Woman posted a pancake mini muffins recipe. They. Are. DIVINE. But if you’re a mom like me who A. Routinely burns everything B. Can’t follow an in depth recipe, or C. needs something simplified for crazy school or church mornings this simplified & healthy recipe is for YOU! It’s also perfect for freezing and it makes a great camping recipe. 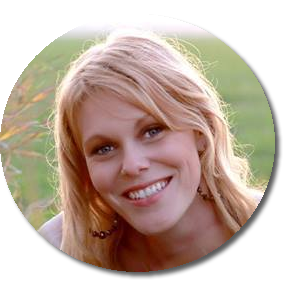 My favorite pancake mix comes from Azure Standard: Pamela’s Baking & Pancake Mix – Gluten Free. This pancake mix is full of nutrients and supports Autism Awareness. Yay! I’m hoping to find it or something similar at the new Hy-Vee Grocery Store which just opened here in Kearney. I’ve been there several times this week and apparently I’m not the only one. Dozens of my friends have gone several times and I think it’s because the food is displayed in such a way that it gets the creative juices flowing for healthy cooking. That means I’ll be searching pancake and baking mixes! Now onto the simplified recipe! 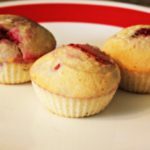 Mini Pancake Muffins -- A Healthy Recipe for the Busy Family. 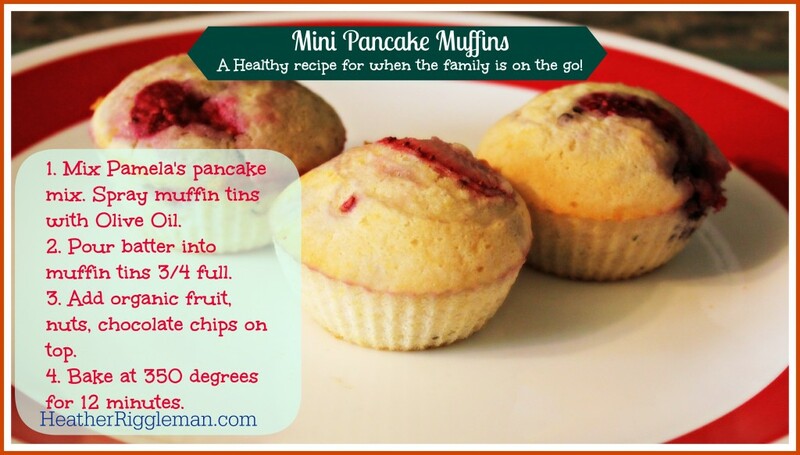 A great mini pancake muffin recipe for when your family is on the go. Perfect for busy mornings or camping. 2 Cups Pamela's Baking & Pancake Mix (or use your version of pancake mix). 1 Cup of fruit, chocolate chips, nuts, dried berries, cinnamon & raisins; whatever your kids love. Mix Pancake mix according to directions. Spray muffin tins with Olive Oil. Pour mix into muffin tins 3/4 the way full. Drop in 2 to 3 pieces of fruit. 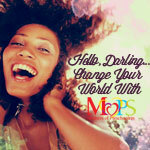 (If you and your kids are not fans of chunky fruit, consider pureeing fruit. Add 1/4 to 1/2 cup to pancake mixture). Place in oven and bake at 350 degrees for 15 to 20 minutes or until golden brown. If you're on the way out the door, place muffins in napkin and hand out to your kids.